Els Canterers is an original potters house dating back to the early 1800s which has underwent a complete refurbishment in 2009. 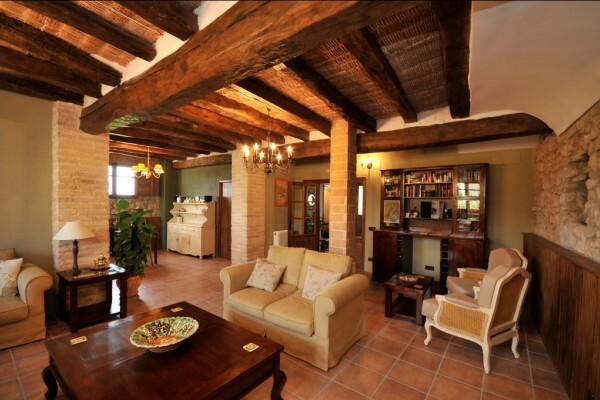 The guesthouse has been beautifully restored and furnished with elegant antique-style furniture. The house offers 5 bedrooms (2 doubles and 3 twins), all with en-suite bathroom with shower, W.C and hairdryer. All rooms have individually controlled central heating, air conditioning and tea & coffee making facilities. The garden area at the rear of the house overlooks the neighbouring vineyard and has sunloungers, a 6-seater jacuzzi and tables. 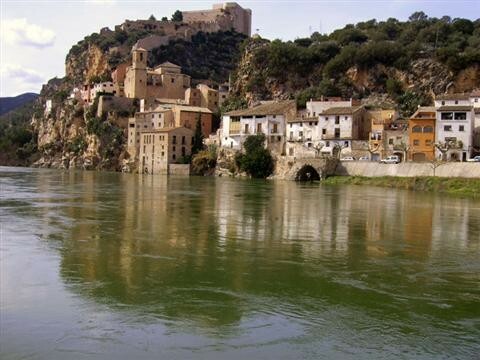 Miravet is a charming medieval village nestled beside the River Ebro and is overlooked by the imposing cliff-top castle, dating back to the 11th Century, known as one of the best preserved examples of Romanesque, religious and military architecture of the Templar order in the Western world. The landscape surrounding the village is beautiful and flourishes with fruit trees during the spring and summer season; cherries, apricots, plums and peaches give this county it’s well-deserved name of “The land of the sweet fruits”. There is an endless list of activities for all tastes, from cultural and historical sites, nature reserves, river fishing, cycling, walking, painting and sailing. You will be guaranteed a very warm welcome at Els Canterers! All 5 rooms are for 2 people and are beautifully furnished. They all have central heating for the winter months, air conditioning for the summer months, tea/coffee making facilities, hair dryer, seating area, private bathroom, WIFI connection (free). 7th Jan-31st May, 1st Oct-21st Dec, except Spanish & Catalan bank holidays. 1st-6th Jan, 1st June-30th Sept, 22nd-31st Dec, Spanish & Catalan bank holidays. 1st June - 30th September. 7 nights for the price of 6!! We are alos only a 35 min drive from the coast if you want to enjoy a day by the sea, and a 5 minute walk to the village open air swimming pool (small entrance fee). There is a heated jacuzzi in the garden during the warmer months. Continental style buffet breakfast with ham, cheese, bread, toast, jams, cereals, fruit, yoghurts, dried fruits, cake, tea/coffee, fruit juice etc. There are 2 restaurants in the village open for lunch and 2 bars open lunch and dinner for a lighter evening option. One of the restaurants opens on Saturday evenings. There are other evening meal options a short drive away (10-15 minutes). You can park in the quiet street for free. You can hire bikes and enjoy a day on the beautiful Greenway which is the old railway line which has now been converted for cyclists, passing through lovely villages and beautiful scenery! This is a 20 min drive from the house. There are no animals in the house, and we are unable to accept pets. Smoking is not allowed in the house or the garden. We provide an ashtray at the entrance to the property. The house is not recommended as there are steps to the bedrooms and to the garden area. Free WIFI connection in all areas of the house. No experiences yet with Els Canterers. Be the first! Did you stay in Els Canterers? Let us know what you thought about it and help others to make the right choice! * I confirm having stayed in Els Canterers. 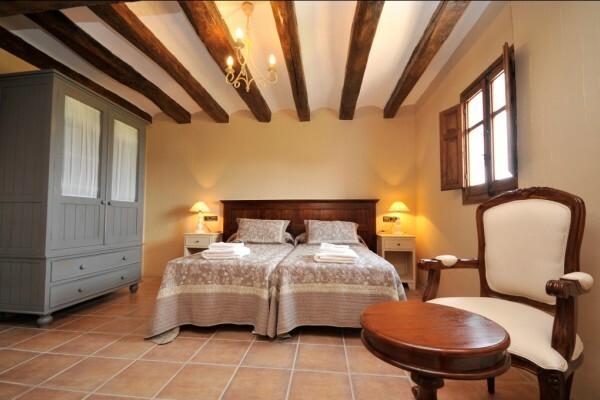 Find other bed & breakfasts in Miravet or all bed & breakfasts in Catalonia.